After that strange Harvest Moon/Story of Seasons debacle that Kyle so kindly set straight for us, it's good to see more details emerging regarding the actual branded Harvest Moon release, The Lost Valley. The game's E3 information sheds some light on what Natsume has referred to as "three-dimensional gameplay," which basically means you can use your shovel to dig up and place soil as you see fit. For instance, you can stack the soil to create new blocks of dirt on which to stand, making pieces of the map more accessible to you than before. Alternatively, you can dig downward to alter the environment to your liking. 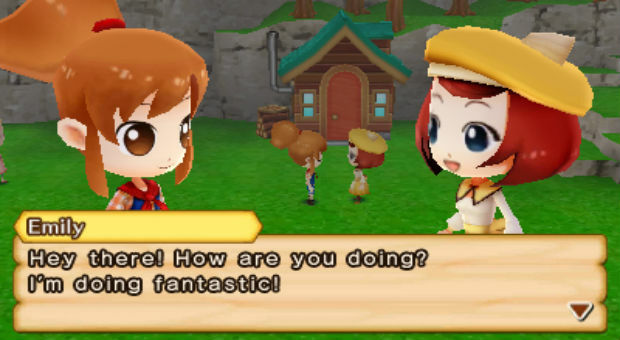 It sounds a lot like Minecraft, to be honest, but any new mechanics for Harvest Moon sound optimal in my book.